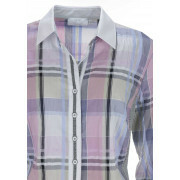 Just White present this feminine blouse which would be an easy wear update for your daytime wardrobe. 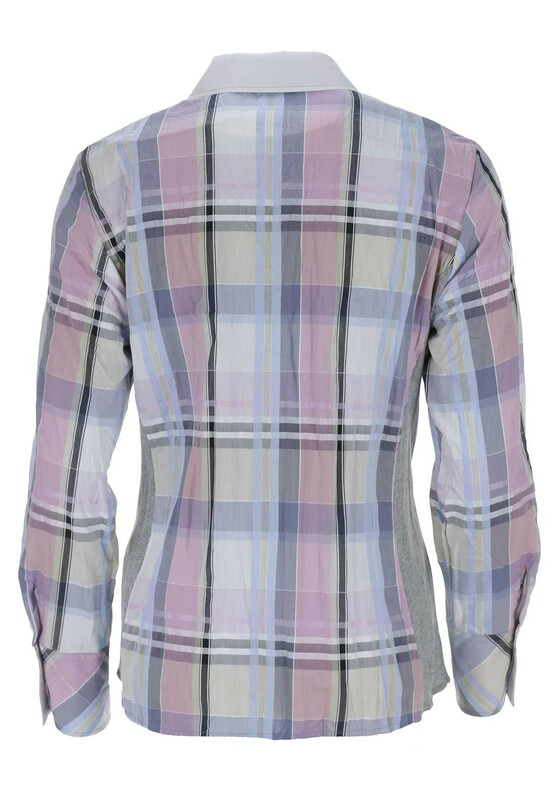 A great choice to wear with chino trousers or jeans. 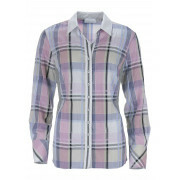 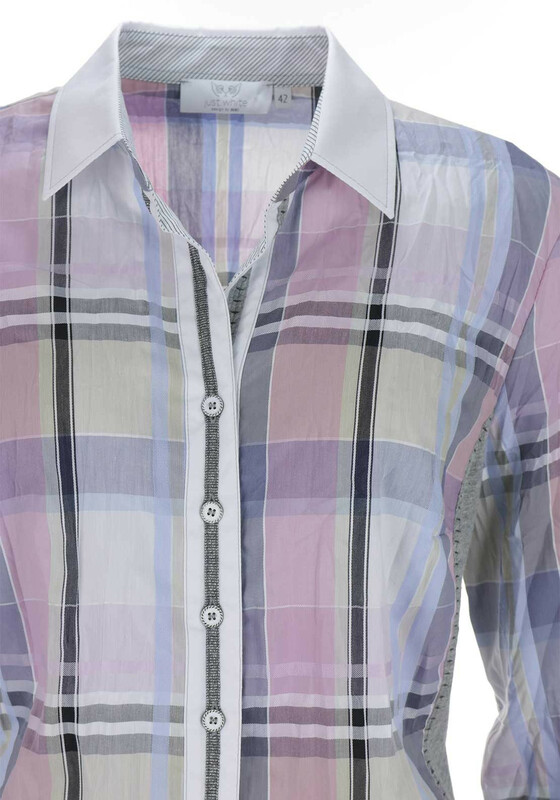 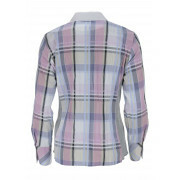 Made from crushed cotton with a pastel toned checked print throughout. 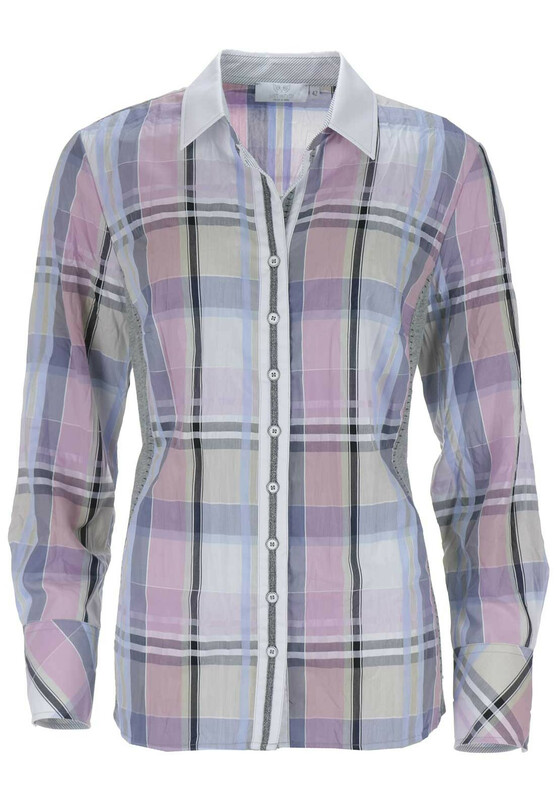 Contrasting grey jersey panels at the sides adds extra comfort.